I’m one of those writers who can’t actually listen to music while writing. I need quiet so I can focus, yet music is still an important part of my writing. When I’m working on a new idea, one of the first things I do is create a playlist for the book that I use during brainstorming. The playlist may change over time as I get to know the characters better, but I always have a group of songs that help me get into the mood of the story. My newest ebook release Surfacing, a YA paranormal which will be available on November 15, takes place on an isolated island along North Carolina’s Outer Banks. The book has a very quiet, lonely feel and I wanted that to be reflected in the playlist. Most of the songs are soft and quiet, except one: “Santa Monica” by Everclear. It was the first song I added to the playlist and I knew it had to be there. It was one of the original inspirations for Surfacing, the song that helped put images in my head before I ever started writing the story. I can still see my main character Mara whenever I listen to it. It may seem a bit odd next to the quiet songs in the rest of the playlist, but “Santa Monica” is the perfect depiction of Mara’s feelings in the book. Shana Norris lives in North Carolina and likes to imagine all the secret things living in the ocean. 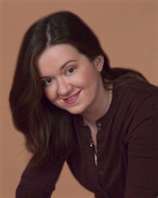 You can visit her online at www.shananorris.com. October 31, 2011. Tags: e-books, Everclear, inspiration, music monday, Shana Norris, Surfacing, The Boyfriend Thief. guest post, music, YouTube stuff. November 8, 2011 at 2:29 pm. Permalink.